← Five Most Respected Models Predict …. One of the most popular claims made by climate alarmists is that retreating glaciers are evidence of global warming. 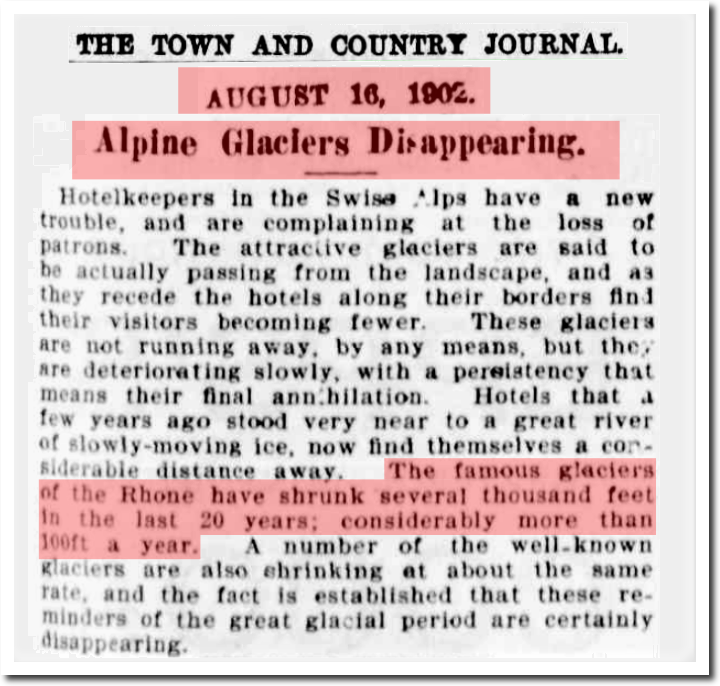 This claim is utter nonsense – glaciers have been retreating for 20,000 years (when Chicago was under a mile of ice) and glaciers were rapidly retreating during NASA’s official coldest years on record. Indeed, “let us cheer up.” Palms and orange trees are far better than a frigid, desolate wasteland like at both poles—even today. 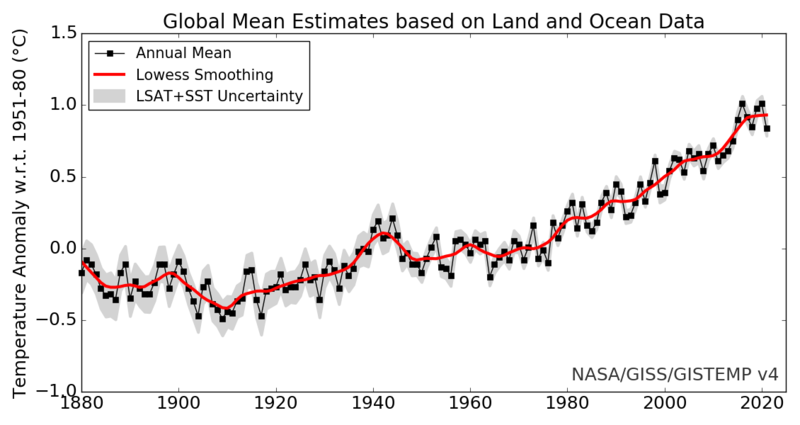 That chart would have you believe that there was warming between the 1930’s and 1980. 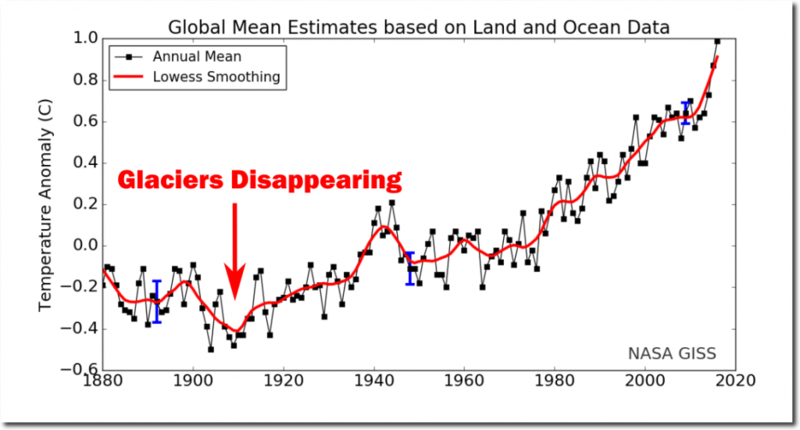 A total fabrication and totally at odds with NOAA’s earlier charts. Could I ask that the date of any graph/data source be stated when you include it. This one certainly looks to be a very recent modification to the original graphs. 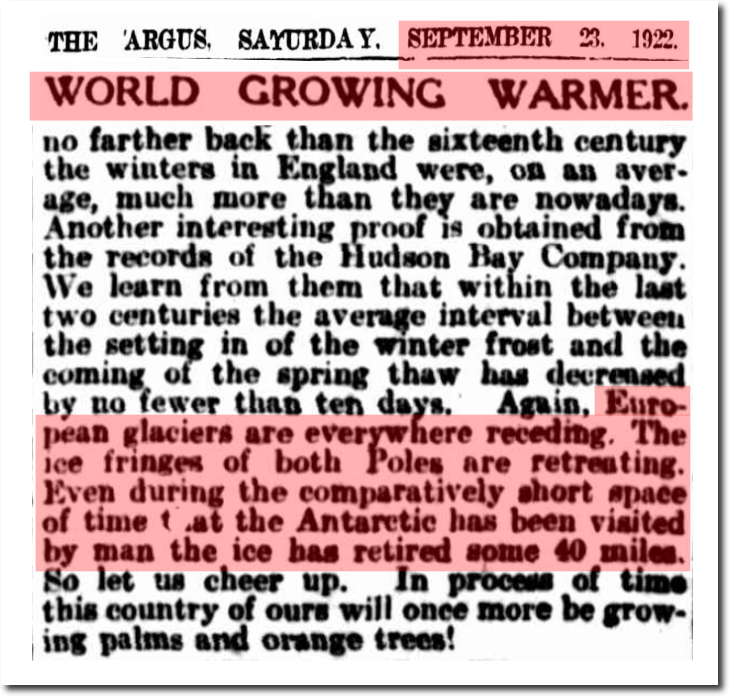 In fact it has almost completely disappeared the 1930’s warming, which was almost the same height as today.